The classic Italian dish just chicken slow-cooked in tomato sauce laced with vegetables and a splash of wine, way more than the sum of its parts. Often called Hunter's Stew, mine is an old family recipe from my Lithuanian aunt – yes, Lithuanian, no, not Italian – but still very tasty! Chicken Cacciatore Made the List! At my house, we call this recipe “Kitchen Catch” for short whenever cooking up a big pot of Chicken Cacciatore [pronounced catch–a–TOE–ree], a home-style Italian chicken stew. My recipe is adapted from a favorite “little girl” dish made by my dear Auntie Karen on special occasions, including, by personal request, on my birthday! I remember walking into her house anxious for the first whiffs of pungent onion and tomato and especially, luscious garlic. Garlic is so common now-a-days, it's hard to imagine how glamorous and worldly garlic seemed to a teenager in the Midwest during the 1970s! No wonder I turned out to be a devoted home cook and dedicated foodie! CHICKEN CACCIATORE aka "KITCHEN CATCH"
CHICKEN Combine the flour, salt and pepper in a large dish. Roll the chicken pieces in the flour until lightly coated. Heat a large Dutch oven on medium high, add the olive oil, let it heat up until shimmery. Drop in the chicken pieces and lightly brown on all sides, turning once or twice, otherwise not moving in the pan. Set the chicken aside for a moment. SAUCE Add the onion, red pepper, garlic and mushroom to the pan and sauté just until beginning to soften. Stir in the remaining ingredients, then nestle in the browned chicken, covering the tops with sauce. Now choose how to slow-cook the Cacciatore! SLOW COOK ON THE STOVETOP Bring to a boil. Reduce heat, cover and let simmer for 2 – 3 hours (or longer), stirring occasionally. Watch the temperature carefully, you don't want to burn the bottom. I have great success with this on an electric stove, less on a high-BTU gas stoves which seem to always run hot. SLOW COOK IN THE OVEN Cover and cook in a 200F/100C oven for 2 - 3 hours (or even longer). To let the sauce thicken, uncover for the last 30 minutes or so. This is my favorite method. 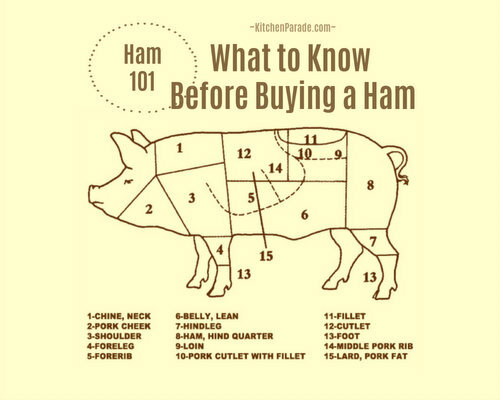 SLOW COOK in (YEAH) a SLOW COOKER Let cook on low for 6 - 8 hours or on high for 3 - 4 hours. This works beautifully **when** it works but I have such miserable experience with unpredictable slow cookers, it's my least favorite method for cooking Chicken Cacciatore. Be assured, however, it's the state of slow cookers that's the problem (not the recipe) so if you love and trust your slow cooker and understand its in's and out's, go for it. TO SERVE Serve with mashed potatoes (maybe our family favorite Mashed Potatoes & Carrots? ), rice or polenta to soak up the rich sauce. ALANNA's TIPS If you’re feeding a crowd or want lots “planned over” to freeze, use an extra-large pot and just add up to double the meat, there’s already an abundance of sauce. Do choose chicken legs or thighs for Chicken Cacciatore, breasts are just too lean and dry for this dish. To save calories, I always pull the skins off the chicken legs or thighs before dusting them in flour. To keep the good flavor that comes from the chicken skin, though, I drop a single skin into the pot when browning the meat. This works with other chicken dishes too, try it! Kinda crazy, I know, but this detail matters. The recipe calls for "24 ounces" of canned tomatoes, that's an odd amount since small cans are about 15 ounces and large cans about 30 ounces, it's something I work really hard to avoid when working on recipes. In this old recipe, however, I advise against just dumping in two small cans or one large can, it's just too much tomato. If anything, use one small can. Better yet, just buck and use the full 24 ounces, this will mean figuring out how to use up a partial leftover can. Roasted peppers can substitute for tomatoes, just leave out the sugar, otherwise the stew will be too sweet. If the sauce hasn’t thickened when you’re ready to serve, stir in a few tablespoons of flour and simmer for 2 – 3 minutes. NUTRITION INFORMATION Per Leg with Sauce: 144 Calories; 3g Tot Fat; 1g Sat Fat; 28mg Cholesterol; 454mg Sodium; 17g Carb; 3g Fiber; 8g Sugar; 11g Protein. 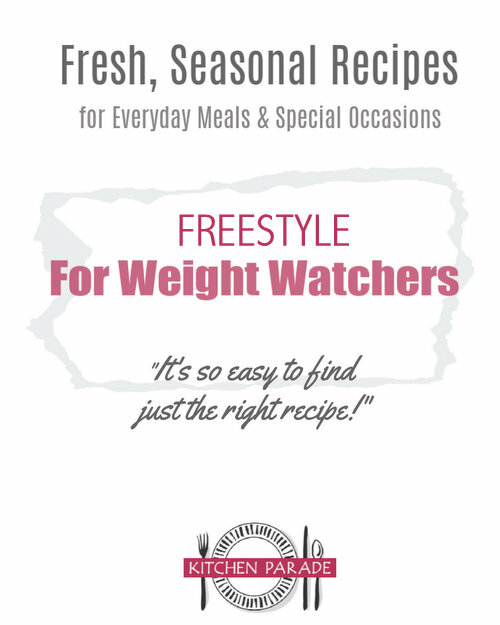 WEIGHT WATCHERS Old Points 2 & PointsPlus 3 & SmartPoints 4 & Freestyle 3 CALORIE COUNTERS 2/3 = 100-calorie serving (7g protein). I made your Chicken Catch to other day and man! was that good! I did make it in the crock pot and served it over fettucine. That recipe is a definite keeper. Except, next time, I'm going to use SKINLESS, boneless thighs or breasts. The skin was just.. yuck..you know? But, anyway, thanks so much for the recipe. I made this last night for dinner, and it is wonderful. This is now my go to recipe for chicken cacciatore. Clara ~ That was my grandmother’s name, I do love it so! :-) And I’m so glad you love the cacciatore, “go to” is such a huge complement, thanks for letting me know! I chose your recipe for chicken cacciatore today. It was fall off the bone tender and delicious. I chose the slow oven cooking method. I could not find my oversized Corning baking dishes nor could the DHBob, finder of all things, so I had to go with a large metal handled Calphalon Teflon coated pan, it just fit. I had a package of 5 thighs I defrosted overnight then proceeded prepping at noon for the rest of this dish so we would have the dinner @ 3-4 PM. We eat early. I skipped the mushrooms, Bob is not a fan. I subbed onion flakes for powder, a red, yellow and orange pepper for the red pepper and canned tomatoes. I seared them in the olive oil before browning the chicken. I could have skipped the pepper skin charring as I forgot to put the lid on the dish in the oven and realized it in the first of the two 90 minute kitchen timer then put the lid on it for the remaining time. Total 180 minutes cooked as the timers do not do that much time at one felled swoop. Skipped the can of tomatoes in lieu of the added peppers as again he is not a fan but did use Ragu for the tomato sauce and a white zinfandel for the red wine as I never have a red on hand and aren't you supposed to use white with chicken? Options for the starch - was surprised to see no pasta so I went with rice assuming pasta would not be able to handle the excessive sauciness of this dish. No excessive sauce in my pot and that was probably due to the subbing of peppers for canned tomatoes and cooking sans a lid. I will make this again. Annie ~ Your cooking day, in a nutshell! Glad you liked the Cacciatore, I get all dreamy-eyed, just thinking about it. Leaving the lid off definitely cooks the sauce down, there’s a happy medium. Thanks for taking the time to write!